Based on the Ghost, I'm guessing a Titan will sell for around $300. 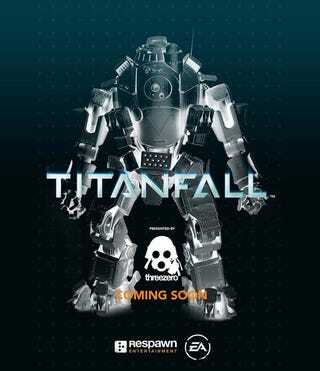 In the meantime, check out this Titanfall pilot custom action figure, Titanfall Lego, and Titanfall t-shirts. Lego Titanfall Titans by bouysmm and Nick Jensen. New Titanfall t-shirts and other goods.